Visual inspiration is what every designers need. Especially when you're designing a web, this round up showcase design post will inspire you in some ways. 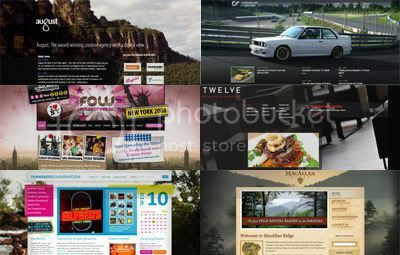 WebDesignerWall.com just published 80 large background website showcase post. You'll enjoy this smashing round up of websites that use large graphic as its background. Most of them are using high definition or high resolution graphics. Eye catching and it brings dramatic visual FX for each web layout.. Yes they are inspirational at some points! You're welcome anytime..